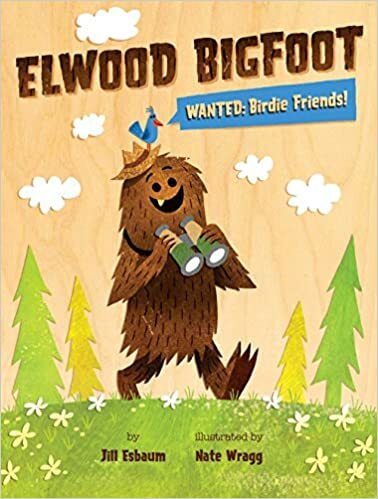 Elwood Bigfoot is lonely and desperately wants to make friends with the birdies. He tries many things: moving into a tree, dressing up and acting like the birdies, throwing a party, creating Birdieland. The birdies continue to avoid him until Elwood discovers that the birdies prefer a quiet bigfoot rather than a loud, clumsy one. Right before Elwood makes friends with the birdies, the text reads: “Did a dancing, hollering bigfoot scare little birdies? Elwood barely. Even. Breathed.” Students who hear this story will be rooting for Elwood to achieve his goal of making new friends. For a bigfoot he is an endearing and likeable character. 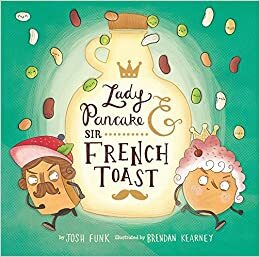 This is an imaginative and funny picture book in which Lady Pancake and Sir French Toast race around the refrigerator in order to get the last drop of syrup. Their race is fast-paced and full of adventure, but when they get to the syrup they discover that they’ve been beaten by Baron von Waffle. There is a lesson about friendship and sharing. There is wonderful vocabulary used throughout the book: the toast plummets into the jam, the pancake hurdles a lime, the toast vaults high in the air, the pancake rappells down a rope of linguini. Students, especially food lovers, will enjoy the story and the illustrations. This picture book is just as entertaining and funny as it's predecessor, The Day the Crayons Quit. Crayons send postcards to Duncan in which they ask to be rescued because they've been lost, forgotten, or broken. In each postcard a crayon tells its story, such as turquoise who was left in a pocket and sent through the dryer and burnt sienna who was eaten and then puked up by the dog. Duncan gathers up his crayons and the last few pages reveal his solution to the problem - he has built the crayons a fort. Students will love this book as much as they did the first. It’s pizza night at Charlie’s house. 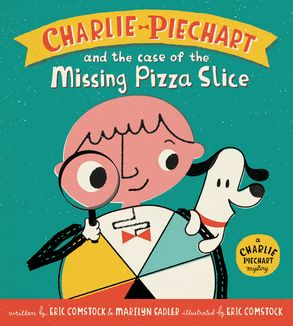 When the pizza arrives, a slice goes missing and Charlie tries to solve the mystery. At the end, the family discovers Watson, the dog, was responsible for the missing slice. Careful readers will pick up on the clues and foreshadowing: a page with Watson with his nose on the table where the pizza is sitting and the text that reads, “Warning! Whatever you do, DON’T give any pepperoni to Watson.” Fractions are used throughout the book to tell the story: “Yuck, no veggies! yelled 4/6 of the pizza eaters.” This book has humor and a mystery and will be useful for connecting reading and math. This is the first graphic novel in a series about Salem Hyde, a witch who has trouble casting spells. When she enters a spelling bee and causes chaos with her spells her cat companion and friend helps her fix her mistakes. There is lots of silliness in this book that will appeal to young readers. Salem confuses words with double meanings making the book clever and fun. 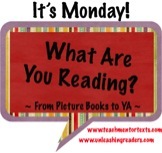 I think this graphic series will be a favorite of many of my students. This graphic novel for upper elementary readers has lots of adventure. Hilo, who later turns out to be a robot, mysteriously crashes to earth. D. J., who feels ordinary compared to the rest of his siblings, discovers Hilo and they soon become friends. This is a story about bravery and friendship. I think many of my students will be entertained by the humor and the action. 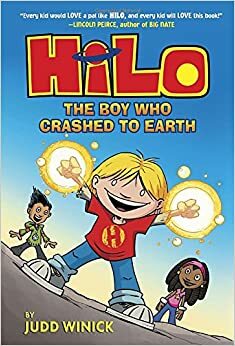 I really liked Hilo and thought that the author had a good feel for his demographic, which very often does not happen! The eyes bugged me, though. I'll have to go back and take a look at the eyes! I've ordered all the Salem Hyde books for my library, but I've yet to read any of them. I may pick one up after reading your review, though! It sounds cute and I'm sure it will be a quick read. Yes, you'll be able to get through one in no time. Great list of books here! I'm glad you enjoyed Lady Pancake & Sir French Toast, and I especially like that you appreciated the fun vocabulary! May the syrup be ever in your flavor! Yes, it was a great book! I think it'll be a classroom favorite! 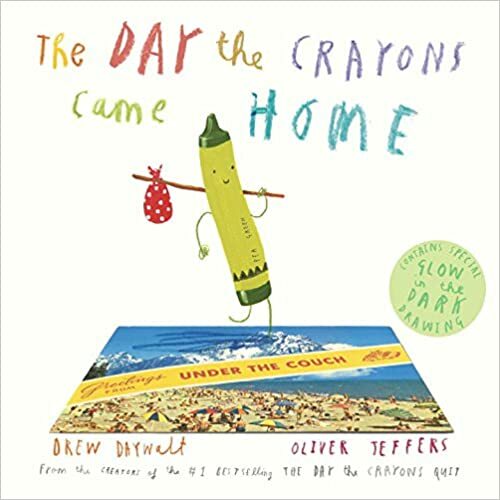 I didn't realize that there was a sequel to the Crayon book - now that's on my to buy list! 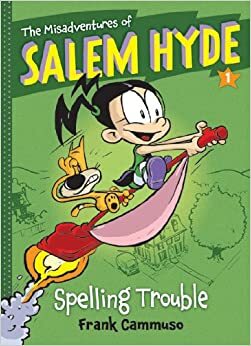 I must find and read The Misadventures of Salem Hyde: Spelling Trouble. and Lady Pancake & Sir French Toast! If they are this good I'll order them for the library. The Day the Crayons Quit was a big hit with my young readers, I'm sure the sequel is going to be another fan favourite! The sequel was for sale at our book fair and students were very interested in it.